Vodafone Hutchison Australia has reported a $177.8 million loss for the full year ending December 2017, a 26.4 per cent improvement on its $241.8 million loss the previous year. In February last year, when the telco revealed its figures for the full year ending December 2016, it pointed to an eight per cent year-on-year revenue decline it claimed was entirely driven by mobile termination rate cuts. Now, the company is talking up a 3.4 per cent year-on-year revenue increase for 2017, to $3.46 billion, citing an increase in customer base and net average revenue per user (ARPU) during the year. “In 2017, we added 246,000 customers to our base, with growth in the postpaid, prepaid, and MVNO and partner segments,” the Vodafone Australia chief financial officer, James Marsh, said. “Postpaid customer growth was driven by our Red plans which offer the flexibility of no lock-in handset plans, $5 roaming and increased data inclusions to support growing data demand. In 2017, data usage on the VHA network increased around 40 per cent. “VHA’s 35-day prepaid expiries have driven growth in the ultra-competitive prepaid segment, and our partner Kogan is performing strongly,” he said. During the year, the company launched its Vodafone NBN offering, marking the company's first major fixed-line play in Australia, while also upgrading and expanding its mobile network, including building 347 new sites and upgrading more than 1,600 existing sites. “We also continued our focus on the Enterprise segment, signing a number of major customers across a variety of industries including food and beverage, global logistics, and finance,” Marsh said. 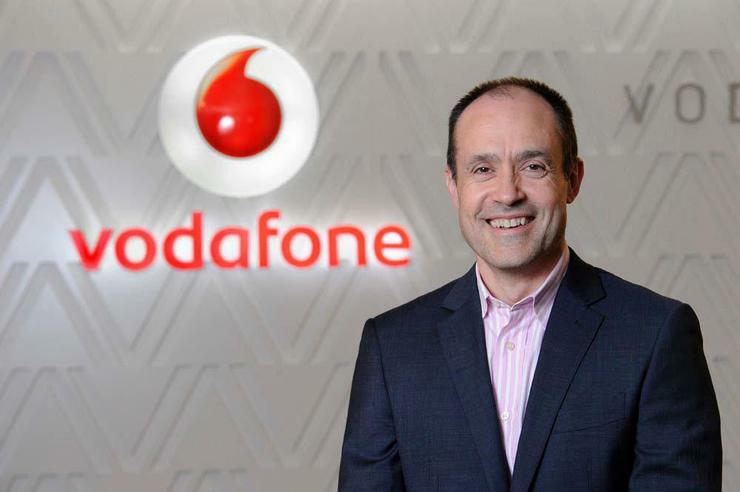 For Vodafone Australia CEO, Iñaki Berroeta, 2017 was a “good” year, with the company delivering a lot for its customers. “It was really pleasing to see our services and products resonate in the market, with VHA ending 2017 with the leading Net Promoter Score and continually recording the lowest rate of complaints among the major telcos,” Berroeta said. “We have begun our fixed broadband journey, and are looking forward to bringing Vodafone NBN, which includes instant connect and back-up via our 4G network, to more Australians in 2018,” he said. Berroeta also flagged the company’s 5G plans in Australia, echoing other recent announcements related to 5G rollouts by market leaders, Telstra and Optus. According to Berroeta, this year will see continued evolution to 5G, with the final stages of the company’s fibre transmission rollout, new capability in its network, and more technology trials. “In the product space, there will be some exciting announcements which will again challenge the way mobile plans are offered, and deliver even more for our customers to meet their connected needs,” he said.